Summer School on Black Europe Program 2014 now in its 7th year, the overall goal of this intensive two week course is to examine the contemporary circumstances of the African Diaspora in Europe. We will focus on the historical and colonial legacies of European countries to discuss the origins of Black Europe and investigate the impact of these legacies on policies and legislation today. More information below in the events section. We are also hosting a year long counter-racist course in London in partnership with the Assata-Tupac Liberation School and SOAS2, and teaming up on other events across the next year. We are also in preparation for the 2014 Genocide Memorial Day and the return of the Islamophobia Awards in February next year. Keep checking back on our website for further updates and news on these events. The start of the trial today in Cairo of deposed Egyptian president Mohammed Morsi lays bare western pretences to democracy and human rights and risks dragging the country deeper into a spiral of civil conflict. 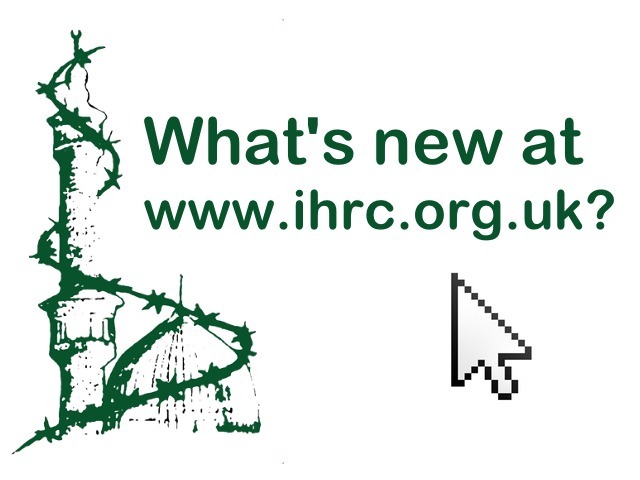 IHRC welcomes findings by Centre for Research and Analysis of Migration. The Islamic Human Rights Commission welcomes today’ findings by the Centre for Research and Analysis of Migration that recent immigrants have made a net economic contribution to the UK. A compilation of resources and links on Australia. L’islamofobia come forma di razzismo: dalla storia dell’Andalusia alle zone dell’essere e del non essere di Fanon. Video clip of UJN meeting in Bodrum, bringing together representatives of Pakistan Islam sects and movements. The Islamic Awakening has become a wave today, said a member of the Islamic Supreme Council of Iraq on Saturday, adding that this wave will soon engulf Saudi Arabia. Despite being a sad and tragic event, the story of Ashura, since its inception, has always been a source of inspiration and stimulation for people from all walks of life. Husayn made himself a target of spears and swords, endured the agonizing experience of his loved ones’ death, witnessed the thirst of his children, and accepted the captivation of the ladies of his family with an open heart, to stand out, according to the prediction of the Prophet as the “shining lamp of guidance and the ark of salvation”. With full-colour illustrations this makes a great book for children. Hijab, Meaning, Identity, Otherization and Politics: British Muslim Women / S.R. Ameli and Merali, A. The fourth volume in the British Muslim Expectations of Government (BMEG) series has been commissioned to highlight and identify Muslim responses and requirements. Availble to download as a PDF and read on any of your mobile reading devices and platforms, this groundbreaking work remains relevant as controversies rage about headcoverings and Muslim women. This work aims to record the main areas of concern in regards to Hijab. The wearing of Hijab has always been controversial, especially in a post 9/11 climate which has seen Hijab bans in both France and Turkey and the case of a British student, who was excluded from school for wearing a jilbab (full length overcoat). “If we are to work towards a truly egalitarian society we need to have the courage to problematise and interrogate our conceptions of each other and what motivates us.” So begins this study of the meaning of the hijab to the Islamic community, to Muslim men, and, most importantly, to the Muslim women who choose to wear the headscarf. This book should not be the final word on the issue of the hijab – it does not seek to be. Rather, in its presentation of the views of individuals who too often are treated as inferior or threatening, it makes a contribution which should be heard by all of us, Muslim or non-Muslim. If as one respondent argues, “British society is an open and receptive one where multi-culturalism is concerned”, then these voices in this volume deserve respect and acknowledgement.